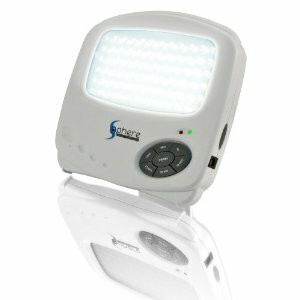 This article will review the Lightphoria 10,000 lux SAD Light Therapy Pad, but first, in case the reader is not familiar with “Light Therapy” and “SAD (Seasonal Affective Disorder)”, we give a short basic explanation about it. What is Light Therapy and what is its use? Light Therapy is one of the best cures for SAD and its symptoms. Light therapy involves the exposure to the specific wavelengths of light found during the day. This light is much more powerful than the normal incandescent bulb. This light, when administered for a specific amount of time during the day, lowers the symptoms of SAD. 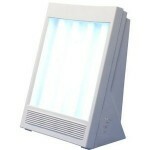 Light therapy can be easily received in the comfort of your home with a light therapy lamp. SAD or Seasonal Affective Disorder is a type of depression which occurs in the form of regular episodes at a specific time of year. While this condition occurs for different people at different seasons, it usually occurs in winter thus it also goes by the name winter depression, winter blues or other similar names. Of all the above therapies light therapy is the most effective, cheapest option available. It is small in size, portable and can be used for a variety of conditions such as jet lag, office fatigue and most importantly SAD. Creates a light which is natural and has a soothing glow to it, similar to natural sunlight. 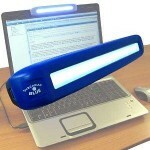 Removes all harmful UV radiation from the light. 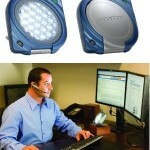 It offers three different intensity levels of the light- 5000lux (Low), 8000lux (Medium), 10000lux (High). A programmable timer which will automatically turn off the device after the set time period. You can select from 15, 30 to 45 minutes. It was proven in clinical trials that this device works to improve mood and energy levels. Works on both 120v and 220v power lines, so can be used in foreign countries. The manufacturers suggest a 15-30 minute use of the light daily during the morning, followed by a small 15 minute treatment in the afternoon. The device should be placed 12-24 inches away from your body while being used. It is advised not to use the device during the evenings or 3 hours prior to sleep, since the light may affect your body’s natural sleep cycle. From my research on Amazon, forum boards, buyer feedback and the internet in general I have found 98% of the reviews to be good or great. Only 2% of the users found the product to be bad or ineffective. From the 48 reviews in Amazon, 46 were 4 stars or higher. From my research I have found that the lamp when used in its low settings works to wake the body up, make right the sleep cycle. But for SAD treatment, the light should be used in the 10000lux or high setting for a minimum of 3 weeks before results can be observed. So it is advisable to stick to the light and use it regularly. The writer has a problem with the size – thought the product was a waste of money. But there is actually an explanation for this. The lamp has been made small to make it portable. Secondly this specific lamp is considered the cheapest when compared with the other lamps in the market. 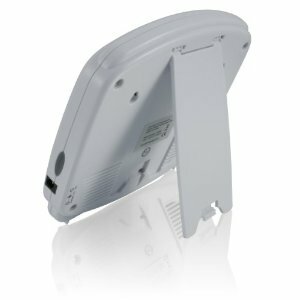 So I can state with confidence that this lamp is a high quality device and the cost when compared to other lights is very low. It is portable and within a few weeks, results will be observed. The major disadvantage is that the device requires a power supply to function. 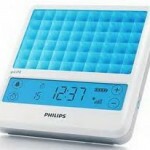 If you require one with a rechargeable battery then an alternative is the Philips goLITE BLU Light Therapy Device. 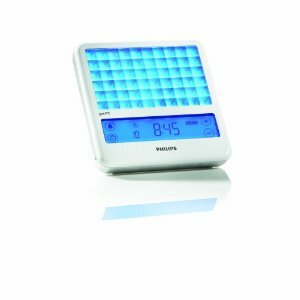 There is a scientific theory that the blue light, which is a part of sunlight, controls the body’s sleep cycle. The theory suggests that the lights of other wavelengths play no major role on the human body. This lamp from Philips uses Blue wave technology to emit only the blue light. This is supposed to increase the efficiency and effect of the lamp. While it has not been scientifically proved if blue light offers any major advantage over the normal full spectrum light, this product has gotten extremely good reviews in Amazon. From the 215 customer reviews, 195 people have given it a rating of 3 or greater. 120 people have given it a 5 star rating. Only 20 people have given it a 2 star or lower rating. The bad ratings were due to the customer service at Philips and because the blue light which is used is known to cause damage to the retinal cells if used for prolonged periods. 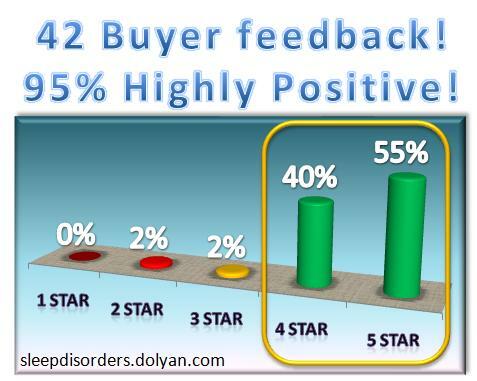 That said, with well above 70% of buyers giving a very high score it is a worthwhile product to check out. 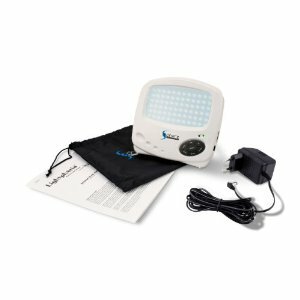 I hope the Lightphoria 10,000 lux SAD Light Therapy Pad REVIEW was useful to you as well as the alternative choice, Philips goLITE BLUR Light Therapy Device. Feel free to go to Amazon and check out the products yourself and read more of the reviews from the buyers. I was looking at Lightphoria light therapy products and different options they propose and I found your Light Therapy Pad review and I think it is very extensive and well made, so thanks for the review. Really glad I came across this article. I have been on the fence about buying one of these lights. This was the same light I had been looking at on Amazon.com. Nice to see so many more positive reviews of this light. I did end up buying the light, excited to start using it.